Our Lady of the Holy Rosary - St. Richard Catholic Church will be hosting their annual 6:30 a.m. mass at the historic Deering Estate at 16701 SW 72 Ave., in Palmetto Bay. - The Fellowship Church is hosting a helicopter egg drop event from 10:30 to 11:45 a.m. at the South Miami campus at 6767 Sunset Dr.
- Several organizations including the T5 Foundation and the Diamond Doll Foundation are hosting the annual Eggstravaganza at 12 p.m. at Olinda Park, 2101 NW 51 St., in Miami's Liberty City neighborhood. The event is free. Admission to the inflatables and rides is $6.50. Tickets are on Eventbrite. - The Neighbors of Schenley Park are hosting the Gather Everybunny event from 10 a.m. to 1 p.m. at 2700 SW 57 Ave.
- The Falls is hosting an Easter Bunny Eggstravaganza from 3 to 5 p.m. at 8888 SW 136 St. For more information, visit the mall's page. - The Easter bunny will be available for pictures from 1 to 3 p.m. at The Mall of the Americas, 7795 W. Flagler St.
- The New Life Sanctuary and the Krome Ave Church are hosting a public Easter event from 9:30 a.m. to 11 p.m. at 22755 SW 177 Ave. The Little Farm is hosting the annual charity Egg Hunt at 10 a.m., 1 p.m. and 4 p.m., Saturday, April 20. The event at 13401 SW 224 St., in Miami-Dade's Goulds neighborhood, includes pony rides and a farm tour. Tickets are $20 online. - Zoo Miami is hosting the Egg Safari with 100,000 eco-friendly eggs. The Easter Bunny will be available for photos and children will be able to play games, win prizes and watch animals' egg hunts Saturday, April 20 and Sunday, April 21. The zoo is at 12400 SW 152 St. Parking is free. Tickets are $22.95 and $18.95 for children ages 3 to 12. Babies and toddlers age 2 do not require a ticket. - The Easter bunny will be at Jungle Island hosting a Megga-Egga Hunt with eco-friendly eggs from 10 a.m. to 5 p.m. Admission to Jungle Island at 1111 Parrot Jungle Trail in Miami's Watson Island is about $50 per adult and $37.34 per child. For $10 more, guests can access the Adventure Bay area. For more information, visit Jungle Island's page or call 305-400-7000. The Easter Bunny will be available for professional photographs from 11 a.m. to 8 p.m., Sunday, April 21, at the Dolphin Mall, 11401 NW 12 St. The packages range from about $35 to $48 without add on services. Peppermint Park is hosting an Easter egg hunt from 1 to 5 p.m. at the Aventura Mall, 19501 Biscayne Blvd. Quinto La Huella at EAST Miami is serving brunch from 12 to 4 p.m. at 788 Brickell Plaza. The brunch is $55 per person and $27.50 for children under 9 years old. Here is the link to make reservations. La Mar by Gastón Acurio at The Mandarin Oriental, 500 Brickell Key Dr. The Sunday brunch selections range from $95 to $125. For reservations or information about group dining, call 305-913-8358. The Ritz Carlton is serving Easter brunch in the Grand Ballroom from 11 a.m. to 2 p.m. followed by egg hunts at 12:30 p.m. and 2 p.m. The brunch is $129 per adult and $45 per child. Reservations are required. For more information, call 305-644-4680. - The Biltmore will be serving brunch from 10 a.m. to 4 p.m. at 200 Anastasia Ave. Brunch is $90 per person and $45 per child. Reservations are required. For more information, call 305-913-3189. - Fairchild Tropical Botanic Garden is hosting an Eggsplorers event with breakfast at the Glass House Cafe and an egg hunt from 9:30 a.m. to 4:30 p.m. at 10901 Old Cutler Rd. Registration is required. Admission is $25 per adult and $12 per child. For more information, call 305-667-1651. - The Coral Gables Country Club is serving brunch from 1:30 to 3:30 p.m. at 997 N. Greenway Dr. It's $35 per adult and $35 per child. Reservations are required. For more information, call 305-392-0819. Swan is serving brunch from 11 a.m. to 3 p.m. at 90 NE 39 St. Reservations recommended. For more information, call 305-704-0994. The Easter bunny will be stopping at a pop-up garden installation from 1 to 4 p.m. at the CityPlace Doral, 8300 NW 36 St. The plaza will be full of sweet treats with a cookie decoration station and a pop-up shop by Sloan’s Homemade Ice Cream. 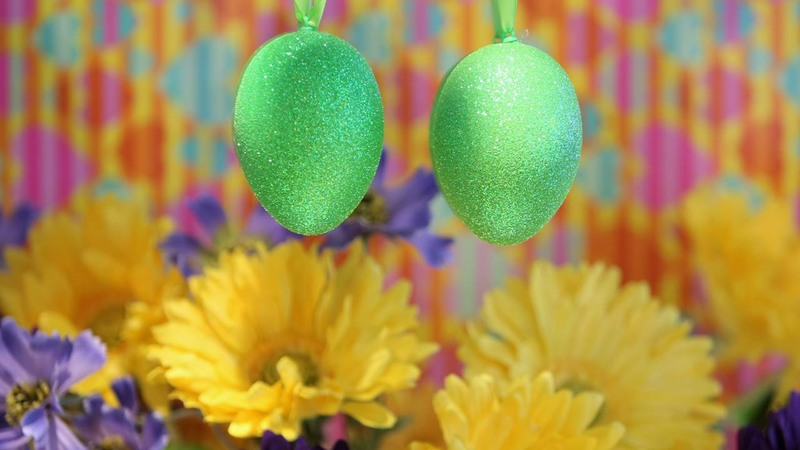 Brimstone is hosting an egg hunt at 11 a.m., and will be giving away a free brunch to the finder of the golden egg. Novecento at 3450 NW 83 Ave., is hosting an Easter brunch. - Novikov Miami is serving brunch from noon to 3 p.m. at 300 S Biscayne Blvd. Reservations recommended. For more information, call 305-489-1000. - Boulud Sud is serving brunch from 11 a.m. to 3 p.m. at 255 Biscayne Blvd Way. Reservations recommended. For more information, call 305-421-8800. Plant Miami is serving a vegan brunch at 105 NE 24 St. Reservations recommended. For more information, call 305-814-5365. The city of Hialeah is hosting an Easter egg hunt from 10 a.m. to 3 p.m., Saturday, April 20, at Milander Park, 4700 Palm Ave. Tickets for the egg hunt are $5. The Ritz Carlton is serving Easter brunch at the Light Keepers from 12:30 p.m. to 4 p.m. The brunch is $135 per adult and $45 per child. Reservations are required. For more information, call 305-365-4186. - The Fontainebleau is hosting an Easter egg hunt from noon to 2 p.m. in the pool area for those who are having Easter Sunday brunch at Vida. The brunch is $68 per person and $34 per child. Reservations are required. For more information, call 305-538-2000. - The Easter Bunny will be making a stop at North Shore Park & Youth Center, 501 72 St., during the Spring Eggstravanganza from 10 a.m. to 1 p.m., Saturday, April 13. The free event is for children who are younger than 10 years old. - Nikki Beach is serving brunch from 11 a.m. to 4 p.m. and will also have a pop-up flower shop. For more information, call 305-538-1111. - Nautilus by Arlo is hosting an Easter party from 1 to 6 p.m., Saturday, April 21. They are partnering with DIRTY LEMON, the viral detox-drink company, with prizes. The Wharf Miami, 114 SW N. River Dr., will be hosting an Easter Egg Stravaganza with "golden eggs." The event requires Eventbrite registration. The Taste of Redland will be hosting the Locavore Culinary Experience from noon to 4 p.m., Sunday, April 21, at Patch of Heaven Sanctuary, 21900 SW 157 Ave.
Root & Bone Miami is serving brunch from 10 a.m. to 5 p.m. at 5958 S. Dixie Hwy. Reservations recommended. For more information, call 786-785-1001. No. 3 Social is serving a dim sum brunch at 50 NW 24 St. Reservations recommended. For more information, call 305-395-5811. Sette Osteria is serving brunch from 11 a.m. to 4 p.m. at 2103 NW Second Ave. Reservations recommended. For more information, call 305-576-8282.